At times, you may have been advised to "put your best face forward," especially at the beginning of your career. And, it is a fact that people make judgments about you based on your appearance – they decide all kinds of things about you within the first few seconds of seeing your face in a photograph. When you run or own a business, it’s just the same - people associate your face with the quality of your business. To be successful, your business needs a high-quality, professional headshot. Taking a selfie with your smartphone just isn’t good enough. Neither is asking a good friend who has an expensive camera to take a picture of you. So, if you’re a business owner, or a budding entrepreneur, here are five reasons why you should use a professional photographer to take a headshot for your business. By including a professional portrait on your website and advertising materials, you are giving your business a vital personal touch. Let’s face it, most people want to see a photo of the person with whom they might want to do business. What’s more, you want your headshot to provide prospective clients or customers with the feeling that you are warm, friendly, and trustworthy – someone they would like to do business with. It’s not only you, as the business owner, who needs a confidence-inspiring headshot. If you have employees that are engaging with prospective clients or customers, these employees also need headshots. A good example is a real estate business where all of the people who will be meeting prospects and showing them their possible new homes need to inspire confidence. It’s not enough just to list a name and a narrative – you need a professional headshot for each person. It’s best not to have several different headshots. Pick the best one and use it consistently on your website, your social media platforms, and your mailings. You are sending a message that you’re a professional and in control of your business. Several different headshots can make a business appear disjointed, which might be a turnoff for potential clients or customers. Branding is not just about a catchy logo or tagline. Rather, it’s an emotional tie that you make with your clients or customers. In other words, your face also counts as your company brand. It’s essential to have a visual brand that presents you in the best light, with an up-to-date look. A sloppy and unprofessional photo can give off a negative vibe about your brand. On the other hand, a professional headshot can do wonders for helping to promote brand loyalty. You may think that you’re not particularly photogenic. Not to worry - professional photographers are trained to bring out the best facets of your personality in a headshot. That’s why it’s worth the cost. The pros know the best angles and head tilts and all the insider camera strategies for making you look good. They can do wonderful things with lighting and very expensive camera lenses. 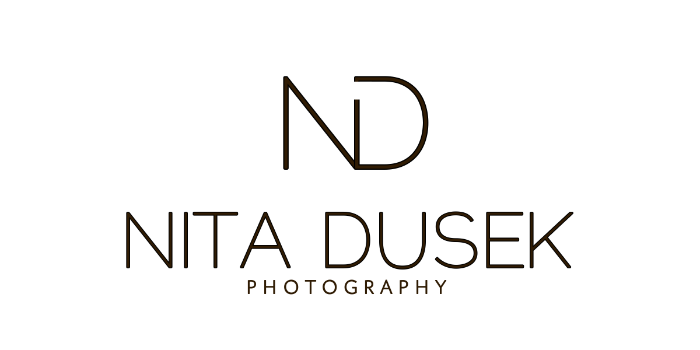 Nita Dusek is a professional photographer who understands how to give you a headshot that makes the best impression of your business. For the highest quality in headshots, call Nita Dusek Photography. Nita will meet with you, discuss your business with you, and give you just the right headshot for your particular field of business. Call today to set up an appointment. Remember, there's no second chance to make a first impression, so your business headshot really counts.